The figures used for this unit are HorrorClix figures from the Base Set. Their model numbers and names are #004-006 / Razorvixen. 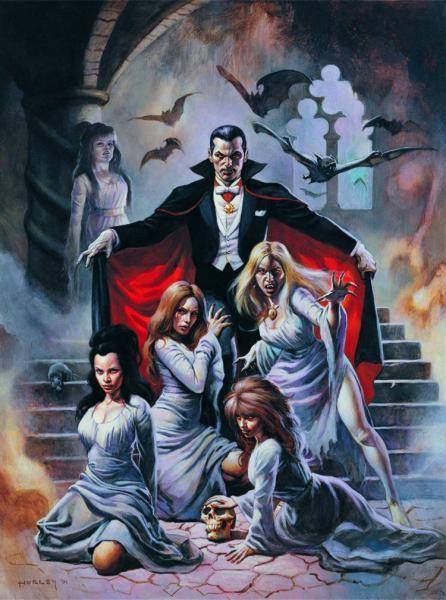 Character Bio - Of the many servants of Dracula, one trinity has always been held in the highest esteem - his beautiful brides. Whether they are the Count's lovers, siblings, daughters, or simply his thralls is unclear, but their bloodlust and loyalty know no bounds. 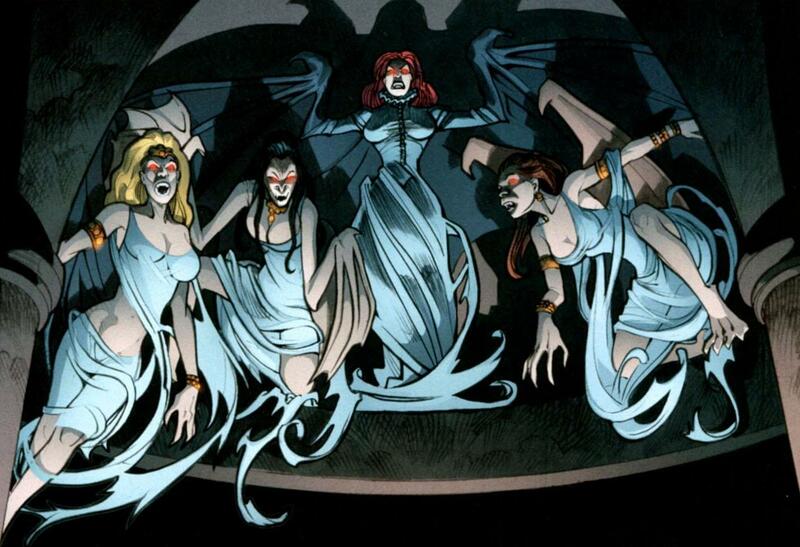 As Undead, Brides of Dracula have these Undead Synergies. Brides of Dracula may use this Vlood Calling special power to move an Undead Lord you control. Current Undead Lords include Dracula. Last edited by Ronin; October 26th, 2017 at 03:03 PM. 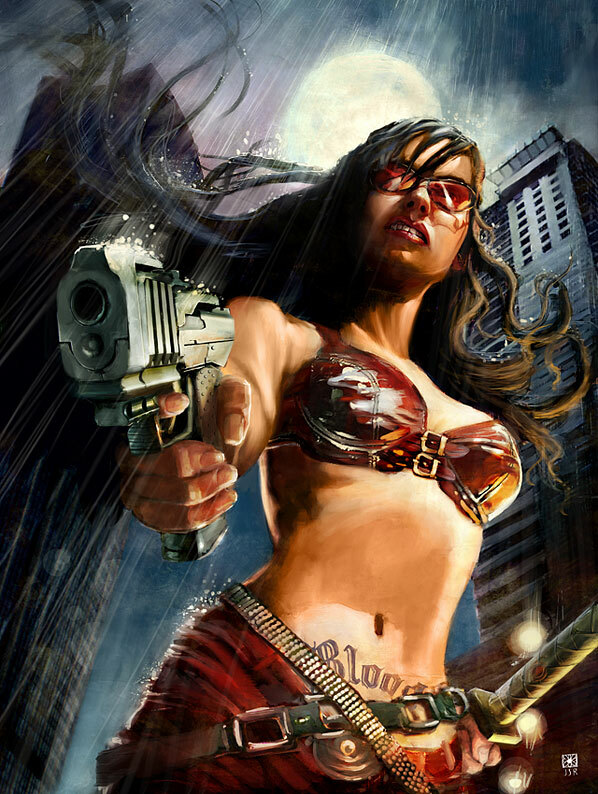 When a Bride of Dracula attacks, she may attack one additional time. If a Bride of Dracula inflicts one or more wounds with a normal attack on an opponent's figure that is not an Undead, Android, Construct, or destructible object, you may move an unengaged Undead Lord you control up to 3 spaces. If that Undead Lord ends its move adjacent to an opponent's figure, you may roll 1 unblockable attack die against that figure. You may only activate Blood Calling once per turn for each Bride of Dracula you control. When a Bride of Dracula rolls defense dice against an attacking figure who is not adjacent, one shield will block all damage. When a Bride of Dracula starts to fly, she will not take any leaving engagement attacks. Last edited by johnny139; October 18th, 2014 at 11:10 PM. 6 attacks of 4 per turn? I know they're a unique squad and that will drop by 2 attacks each time you take one out, but 110 seems a tad low as is. Yeah, I think they're a bit low right now. I'm pretty set on them at 110, though, so Dracula + Brides = 600 exactly; stats will have to be tinkered with and Attack is the first place to go. I have a feeling Blood Calling will be powerful but it's so specific that I'm not sure if these will be able to see play outside a Dracula build. Hitting that exact mark with them is probably going to be pretty tough. We'll see, though! You tricky devil! I didn't expect to see these so soon. I will now have to dig through my "in-process" minis to find these ladies and get you pics. No huge rush here. I'm hoping I can get them out for Halloween alongside Drac himself! If 110 is unattainable, I'd probably try to buff them to 160... or 150, so you could have Dracula, Brides, and Vampire Minions x4. That'd be a fun army - Brides come in and do damage, Drac comes in and mops up, Minions + turned enemies take turns until Dracula returns, Dracula finishes things off. If you want 110, I'd start at 3 Attack. I don't think they'll be too strong though. They don't have any actual bonding and once you engage them, they're not too tough. I'd like to see Blood Calling apply to any Undead figure. I'll look at this later. Subscribed for now.